live Music followed by a short break before we start the second half. 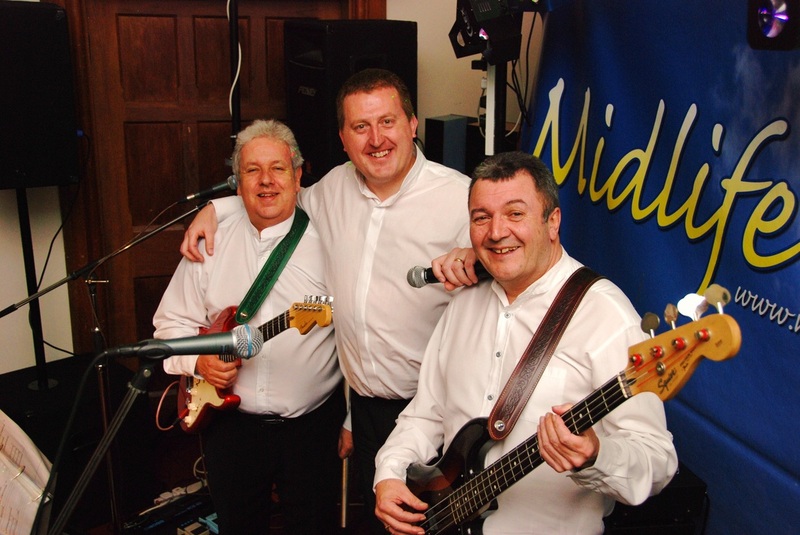 In the Interim we are happy to provide quality backing music to either keep people on the dance floor, or background music dependant upon your requirements. We have commissioned music to play whilst were not on stage; music that is known to everyone and blended together to create a constant flow of high quality entertainment designed to please. This may negate the need for you to provide a disco or other entertainment. you. You may for example want to mix our music with some from todays era to please all tastes - so a disco could work well for you. Finding a quality DJ is not easy, after many years on the road we only have two we recommend. Give Ieuan a call 07971 007431 and he will discuss this option and pricing with you. For the second half of the night we will provide at least another hour of quality live music - often a lot more!! The bottom line is that it is YOUR NIGHT - tell us what you need - its our job to make it happen.